TVXQ will be holding concerts at the Nissan Stadium, Japan’s biggest concert venue. During the first concert of TVXQ’s 5 Dome Tour, which was held on the 27th at the Saitama Super Arena, it was announced that the group would be holding an additional two concerts at the Nissan Stadium on the 17th and 18th of August. 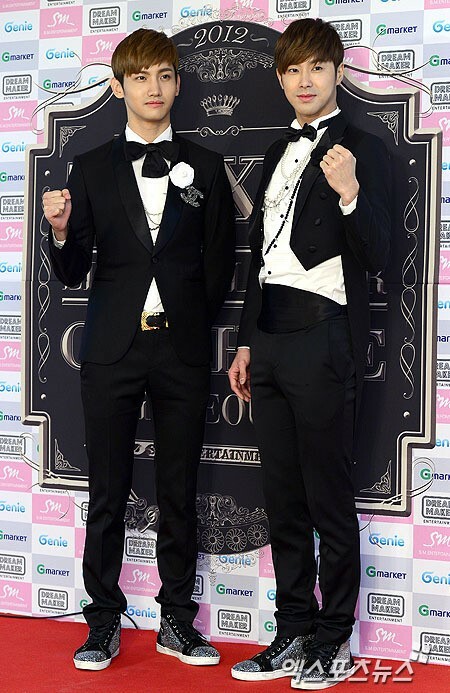 TVXQ is the first non-Japanese Asian group to hold a 5 Dome Tour, kicking off the event at the Saitama Super Arena on the 27th and moving on to Tokyo Dome, Osaka’s Kyocera Dome, Fukuoka’s Yahoo! Japan Dome, Sapporo Dome and Nagoya Dome. The Nissan Stadium is Japan’s biggest concert venue and is able to hold approximately 72,000 people. Famous Japanese singers such as SMAP, Yuzu and Yazawa Eikichi have held concerts at the venue. Meanwhile, TVXQ proved just how popular they are in Japan when they became the first Korean singers to hold a concert in Tokyo Dome in 2009.